(NaturalNews) The Bureau of Land Management says its 200-man armed siege of the Cliven Bundy ranch in Nevada is all about protecting an "endangered tortoise." But a Natural News investigation has found that BLM is actually in the business of raking in millions of dollars by leasing Nevada lands to energy companies that engage in fracking operations. 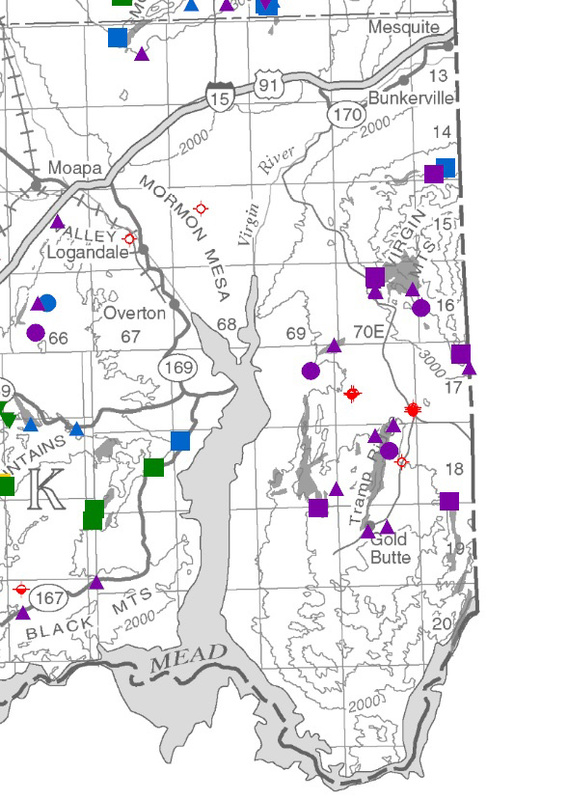 This document from the Nevada Bureau of Mines and Geology(1) shows significant exploratory drilling being conducted in precisely the same area where the Bundy family has been running cattle since the 1870's. 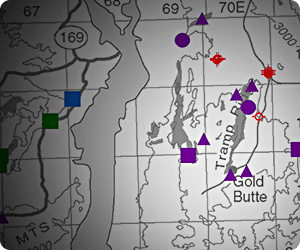 The "Gold Butte" area is indicated on the lower right corner of the document (see below), and it clearly shows numerous exploratory drilling operations have been conducted there. What's also clear is that oil has been found in nearby areas and possibly even within the Gold Butte area itself. U.S. Bureau of Land Management geologist Lorenzo Trimble tells the Las Vegas Review-Journal the Elko County oil and gas leases sold Tuesday for $1.27 million to six different companies. The auction took place in Reno. The leases are near where Houston-based Noble Energy Inc. wants to drill for oil and natural gas on 40,000 acres of public and private land near the town of Wells. The Review-Journal reports the project would be the first in Nevada to use hydraulic fracturing, or fracking, to extract oil and gas from shale deposits. The way this works, of course, is that BLM runs land theft operations by claiming they are "managing" the land and thereby kicking everyone else off it. They then invoke a reptile, an owl, a bird, a snake or some other animal which they claim to be "saving," even while they are stealing and destroying hundreds of cattle belonging to a private rancher trying to make an honest living in a nation where productive Americans are increasingly branded "enemies of the state." Once control of the land is established via court order or by bringing armed men with automatic weapons, BLM then turns around and leases the land to fracking companies who proceed to exploit the land using hydraulic fracturing techniques that inject toxic chemicals into groundwater supplies (and have been linked to earthquakes). The money collected by the BLM is then used to increase BLM salaries and bonuses. In essence, the BLM is a criminal mafia racket, and Cliven Bundy just happened to be in the way of their next target, the Gold Butte area of Nevada. That is why they brought hundreds of heavily armed men to a "save the tortoise" operation. As part of its police state intimidation to control the land, BLM unleashed attack dogs on a pregnant woman. Does anyone really believe this is still about a tortoise?